Available to Firehouse Mug Club and Hook & Ladder Wine Club members only. 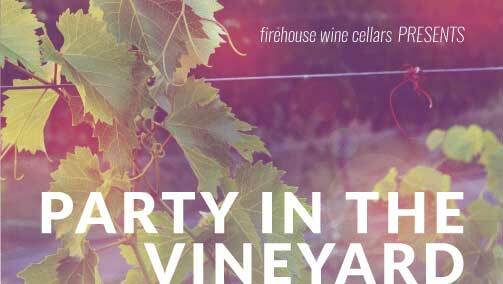 The third annual Firehouse Wine Cellars Party in the Vineyard will take place at Old Folsom Vineyard on Wednesday, September 7th. We are looking forward to an evening of great wine, great food and friends! *Available to Firehouse Mug Club and Hook & Ladder Wine Club members only. Stop in to Firehouse Wine Cellars to sign up!